Toyota Hilux Revo Rocco is an ultra-modern urban class 4-wheel drive pickup truck extremely popular for its aggressive tone and actionable bold appeal for customers. In Uganda, It is becoming an ideal choice for wildlife safari adventure and off-road all-terrain rugged drive. 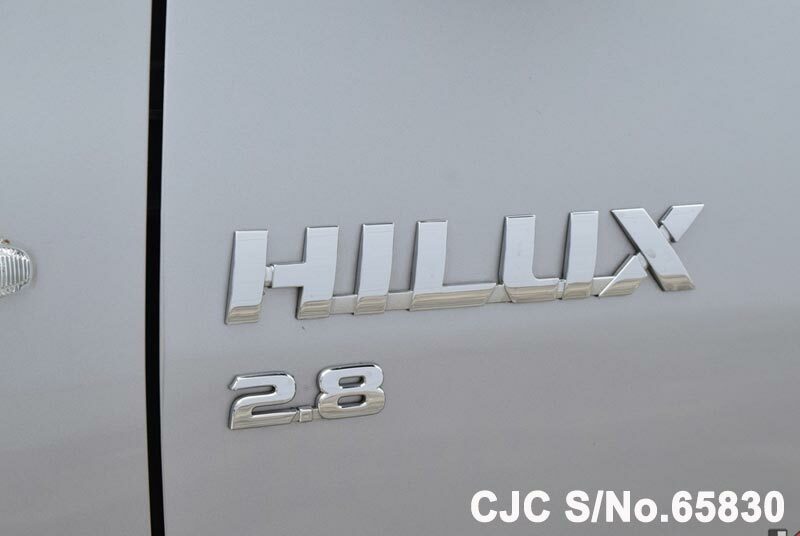 Hilux Rocco pickup is designed to exude a lavishing luxury style for Ugandan people to elevate their living standard and to leave a strong impression on others. By means of design, it offers a robust masculine exterior structure comprised of glittering shine accessories such as front LED headlights, under spoiler C Shaped front fog lights, gray metallic front bumper, power side door mirror, hexagonal shape black emblem grille, and 18-inches alloy wheels. 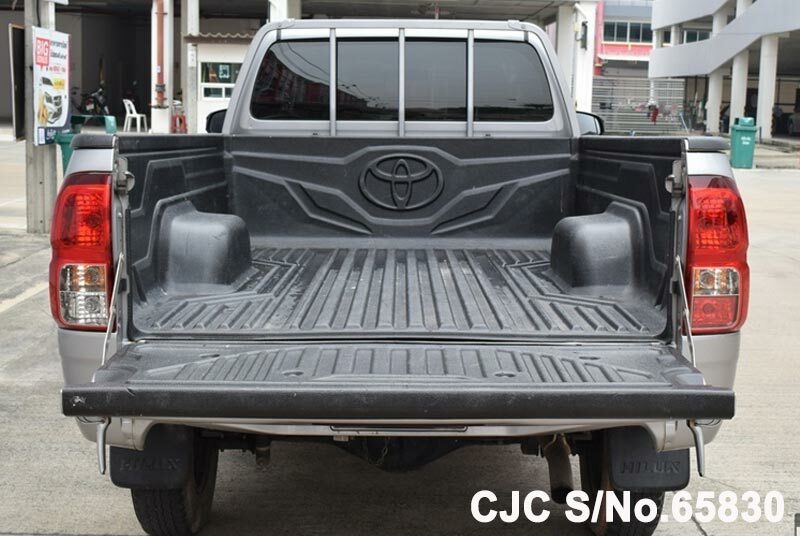 On the rear side, it offers an open flat black cargo loading storage deck with a lockable tailgate. The LED taillight and rear side bumper add a valuable appeal for customers. Moreover, the interior side cabin provides a decorative fancy look with comfortable spacious seating design and firm handle grip for ease of low floor cabin entry and exit. 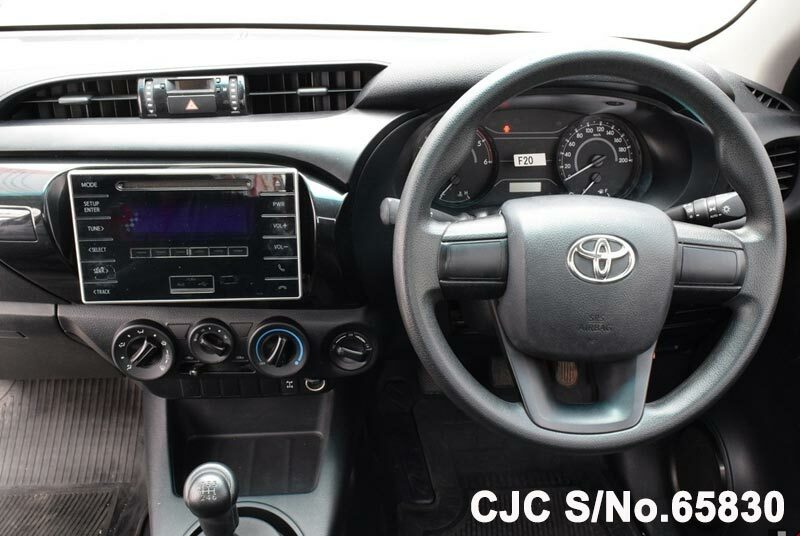 Some of the essential added features are multi-information display, Optitron Meter, Cruise Control, smart keyless entry, push start engine button, and 7 airbags. This is a light-weight smart right-hand pickup truck provides excellent driving journey performance with having choices of 1 GD and 2 GD Diesel engines for remarkable smooth off-road and on-road stable drive. 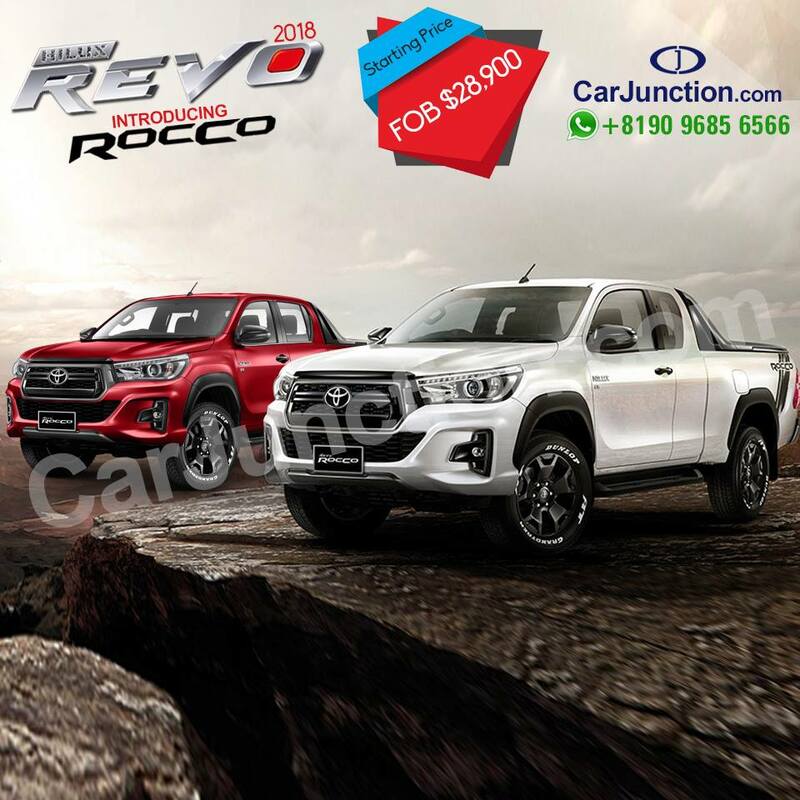 Place the order for newly brand Toyota Hilux Revo Rocco with the highly trusted name in online vehicle export, “Car Junction”. For an immediate order enquiry kindly call / WhatsApp us at +8180 1009 6000. 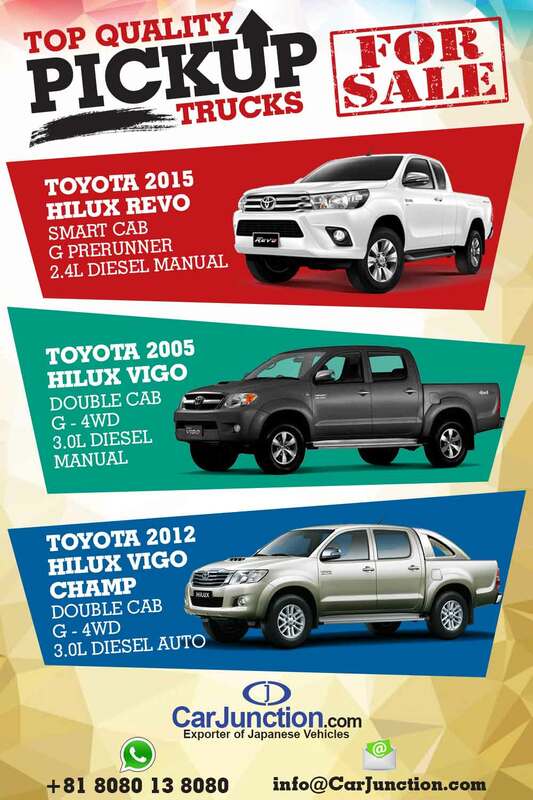 Car Junction is offering Single Cabin Toyota Hilux Revo 4×4 2016 Model readily available for Uganda. 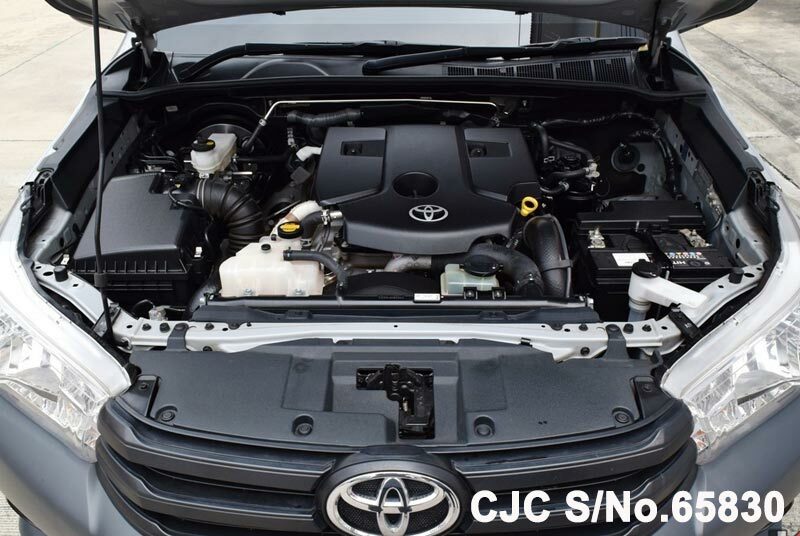 This Vehicle is equipped with manual transmission, 2800cc Powerful Diesel Engine. 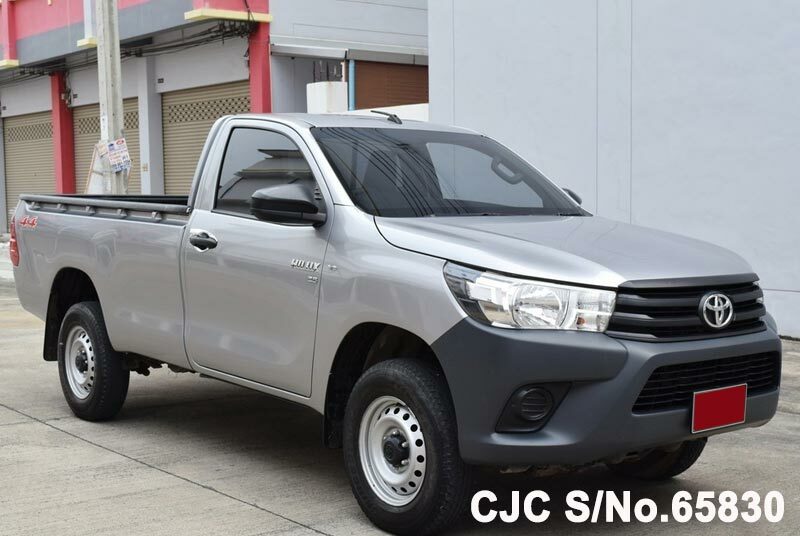 Toyota Hilux Vigo available for sale in Uganda, ready for shipment. This is 2008 model single cabin with 2500cc Diesel 2KD engine. beautiful pickup truck for commercial use. This is 4×2 model with uplift face and in Manual Transmission. The C&F (Mombasa) price for this vehicle is 11,000$. Car Junction always brings exciting discounted offers for its customers in Uganda. 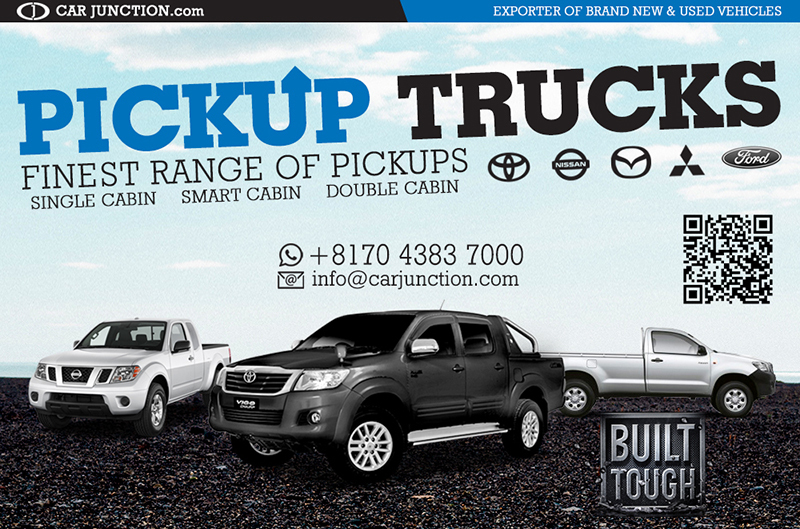 Now, we are providing high quality used pickup trucks at reasonable prices. 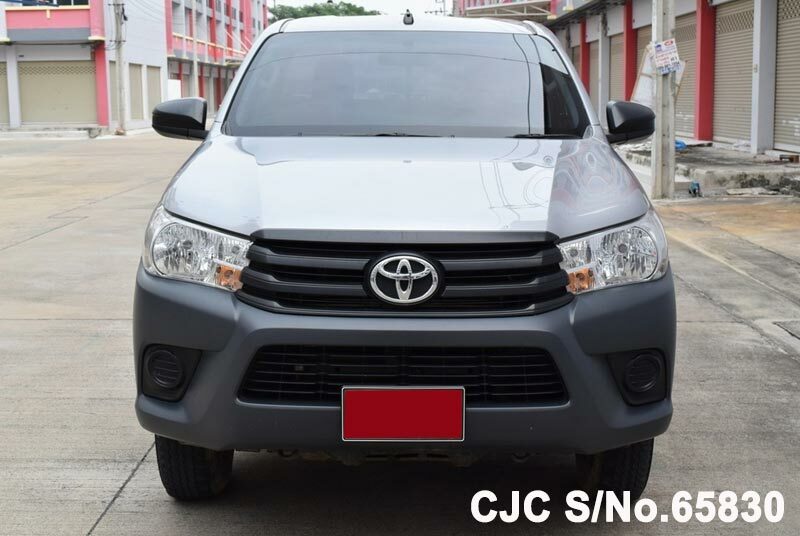 Our newly maintained vehicle stock comprises of better condition Toyota Hilux Revo 2015 with a smart cabin, G Pre Runner, and 2.4 L Diesel Manual. 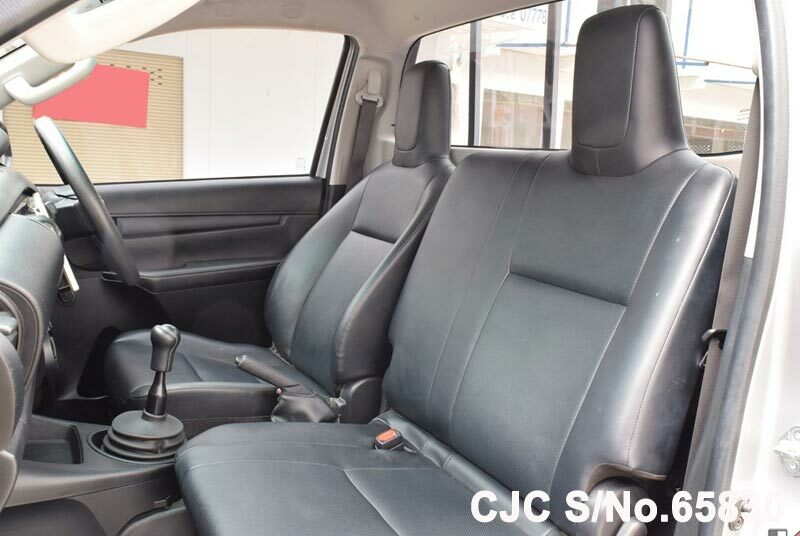 Moreover, we also have Toyota Vigo 2005 as well as champ 2012 readily available for customers with a double cabin and 3.0 liters diesel engine with choices of manual and automatic speed transmissions. Car Junction offers farming implements at reduced prices for Kampala, Uganda. Buy Now Before its too late!! Toyota Hilux Revo Rocco is a newly popular contemporary all-purpose pickup truck in Uganda designed with a light-weight rigid compact aerodynamics structure ideal for a smart 4-wheel drive on uneven rough road surfaces. It offers a keen noticeable impression with a bold appeal on all ages of customers and inspires them to have an instant purchase decision. 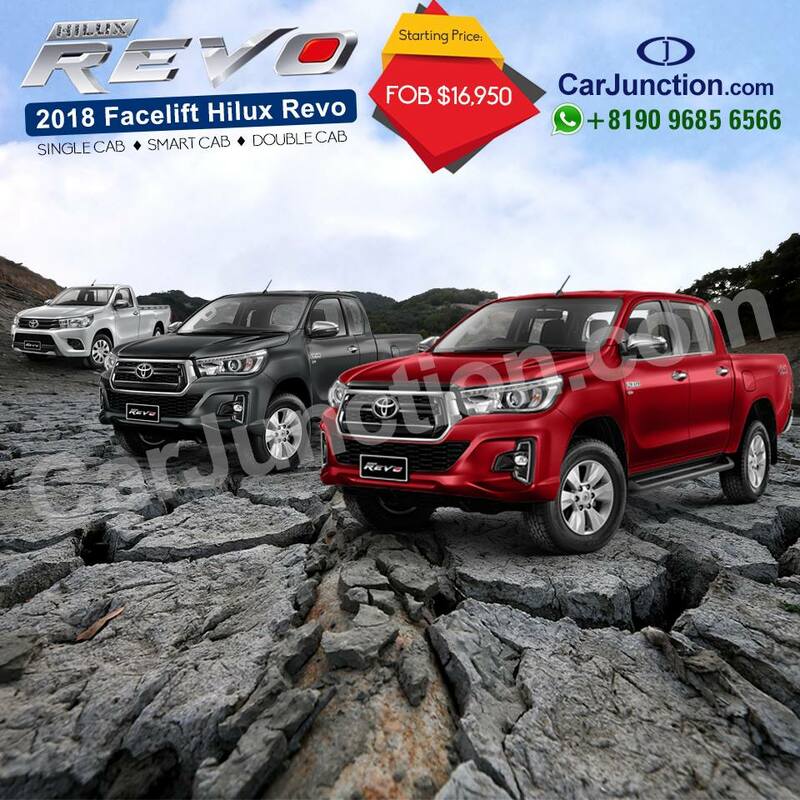 Toyota Hilux Revo 2018 is a new arrival of masculine sturdy pickup truck perfectly built for efficiently carrying loads of cargo from a single place to another. It is a trendy fashion statement pickup truck ideal for exploring wild off-road adventures with all family and friends. The advanced key safety and comfort utility features give it a dynamic value with up rise demand for customers with a dare to seek new exciting challenge risks. 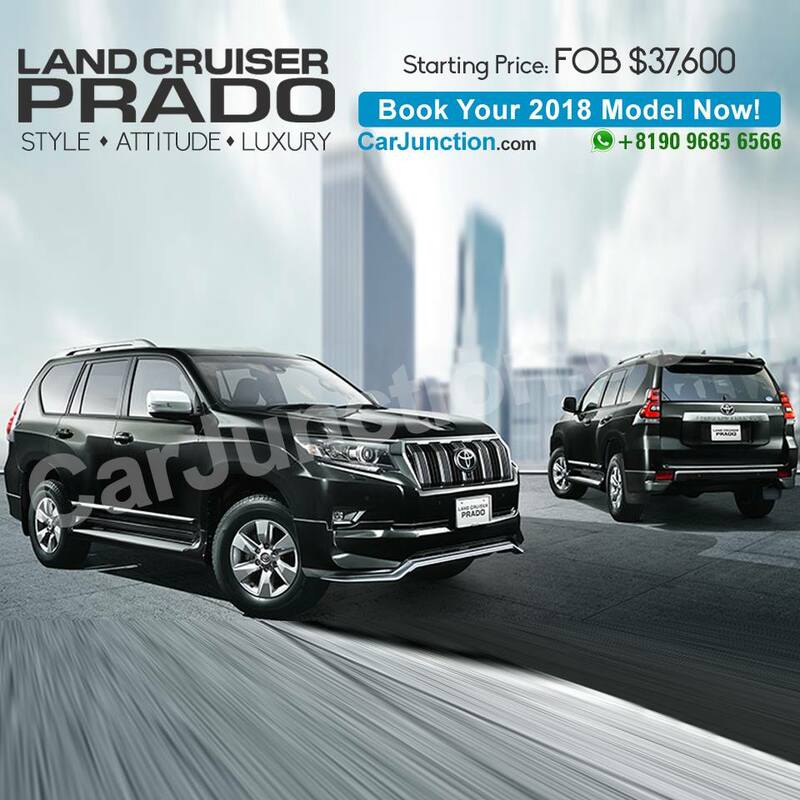 The New face look of Toyota Land Cruiser Prado 2018 is a road warrior exhibits quick action maneuverability with having a rugged exterior design and robust structure. 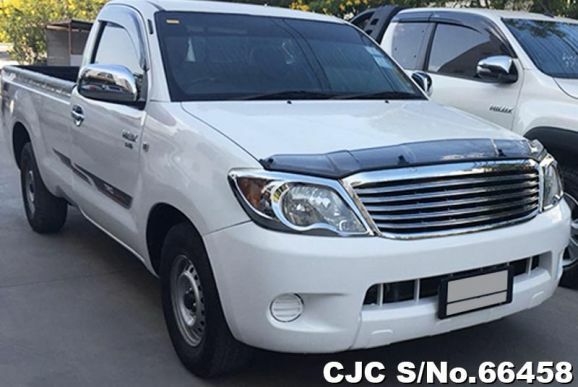 It is an urban class sports utility vehicle features sleek shine striking appeal and comprises of fancy decorated spacious seating and cargo storage loading accommodation. Car Junction offers new and used Massey Ferguson Tractors for Sale in Kampala, Uganda. We have a limited time stock available for MF 385-4WD, MF 360 Turbo, and MF 240 with all farming implements at reduced discounted prices. Buy Now Before its too late! !